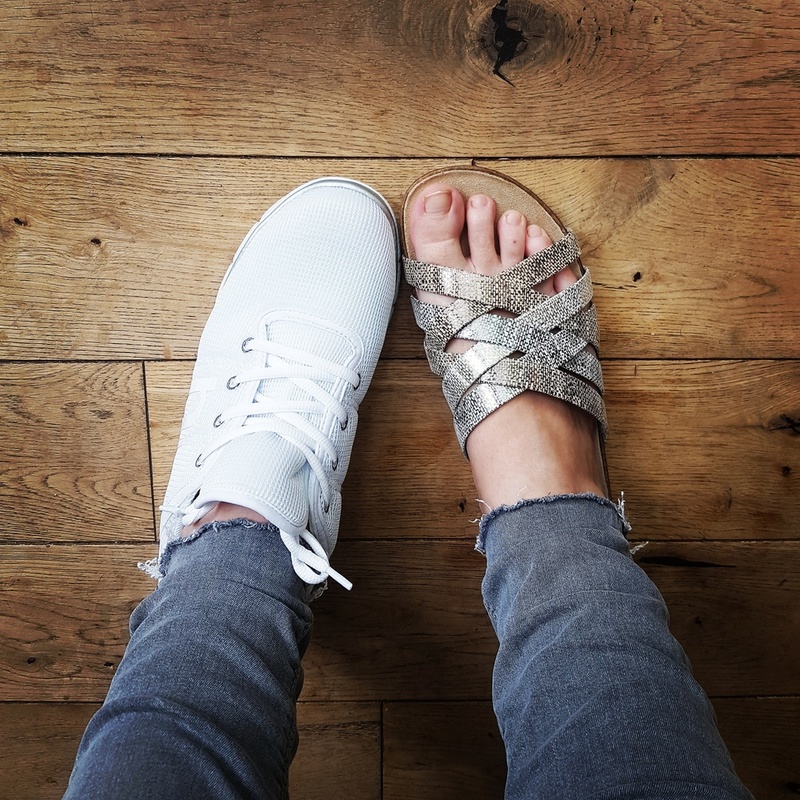 Trying to pack for a holiday in which you will be doing crazy activities and lots of walking can be daunting if, like me, you don't own any comfortable and 'sensible' shoes. 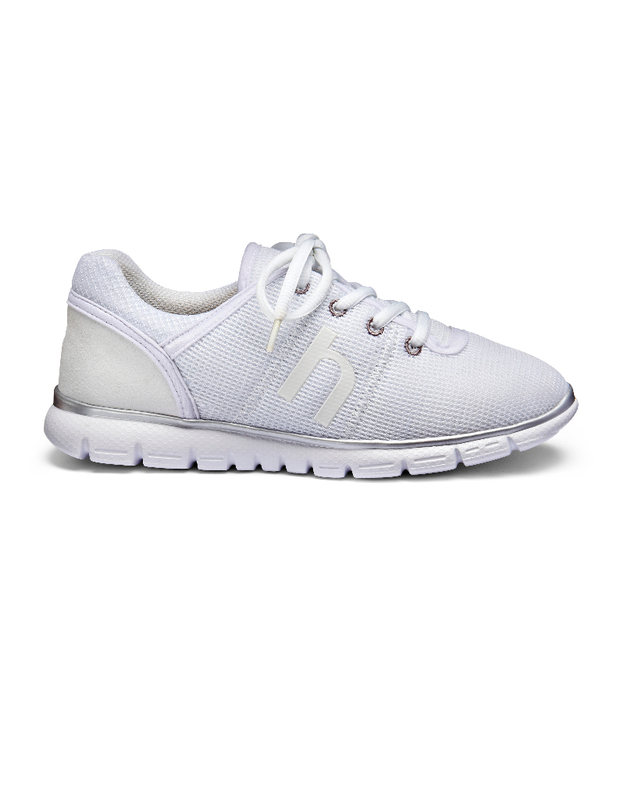 So I looked for some trainer type shoes that were lightweight, wouldn't hurt my feet or make me sweat like a kid in a sweet shop, fit properly and looked cute. The plain white trainer, or sneaker if you're in the US, is a staple part of any girls casual wardrobe this season, according to the Fashion Lovvies on Pinterest. So following their advice I searched for exactly that... Which is where Hotter Shoes came in. Say hello to the Feather! Hotter Shoes have shoes that fit everyone, wide fit, slim fit AND half sizes! I am a 7.5 and haven't had a pair of shoes that have fitted properly in my whole adult life. So I ordered 2 pairs, some Gypsy sandals and the Feather trainers. When they arrived they were wrapped in butterflies, so I was sold just on the packaging. I love butterflies, this is not relevant I know. I knew the Feather shoes were lightweight (hence the name) but when I picked them up I wasn't prepared for just how light they were. 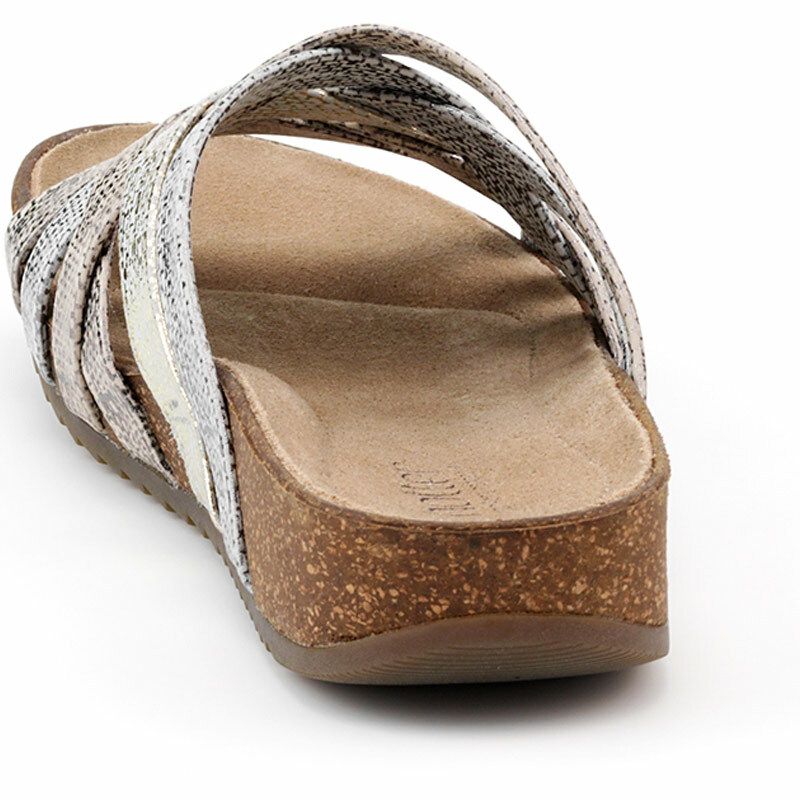 The sole was soft and comfy and the design was plain and sleek *high fives the pinterest folks*. 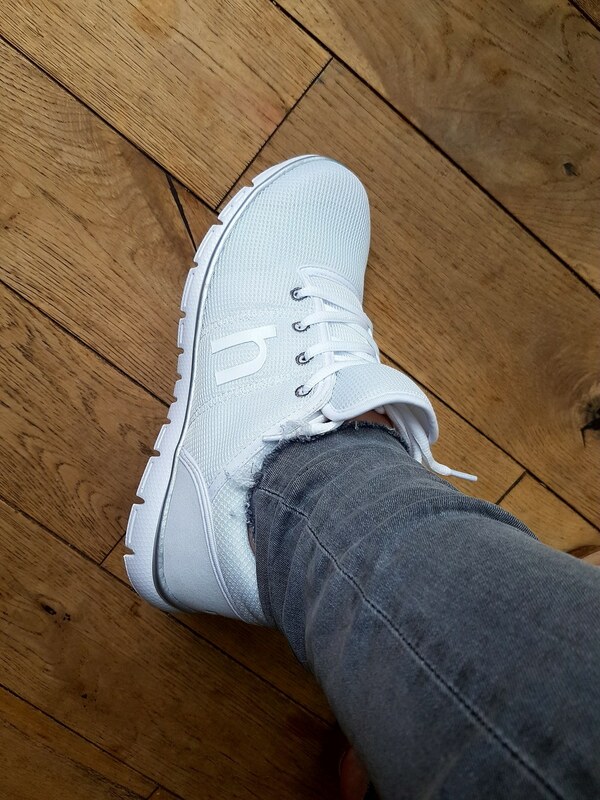 They come in 3 colours, White, Blue and Black the soles are all white though so if you want a sleeker look, get the white. These beauties come with Hotter's memory foam insoles so when you put your feet in they feel like slippers, it's bliss, and they fit like a size 7.5 glove... a foot glove... you get the point. I have been breaking them in around the house and to the shops before I go and I haven't had a single blister! This is like magic and if you're doing any sort of exploring on a trip, I advise you check these out. The Gypsy Sandals were chosen because I've been fooled by the comfort of the toe thong on previous holidays and ended up with plaster suntan marks because they've destroyed my toes... attractive! These metallic beauties also fit beautifully and look really cute too. I almost went for the flowered ones but thought the metallic went with my outfits more... what a girl. These too are comfortable beyond belief with their cushioned sole. They aren't memory foam like the Feather but they don't feel like you're walking on the concrete floor either so perfect for the long day trips to the markets and drinks at the bar... I just need to have a pedicure before I go. I will update you on how I get on throughout my trip, I'll have #blisterwatch and #HotterShoes on all of my feet related instagram posts, so keep an eye out on @lifeasaliceblog for those riveting updates.